Save $2.00 on any TWO (2) Suave Professionals® Gold Hair Care products (excludes Luxe Styling products and 2 oz. trial and travel sizes)..Expires 8/27/2016.Save $2.00. Save $2.00 on any ONE (1) AXE® Hair Care product (excludes trial and travel sizes)..Expires 9/3/2016.Save $2.00. + Save 50¢ on any ONE (1) SUPERPRETZEL® Soft Pretzel Product (not valid on 7oz. - 9oz. stand up bags).Expires 11/15/2016.Save $0.50. 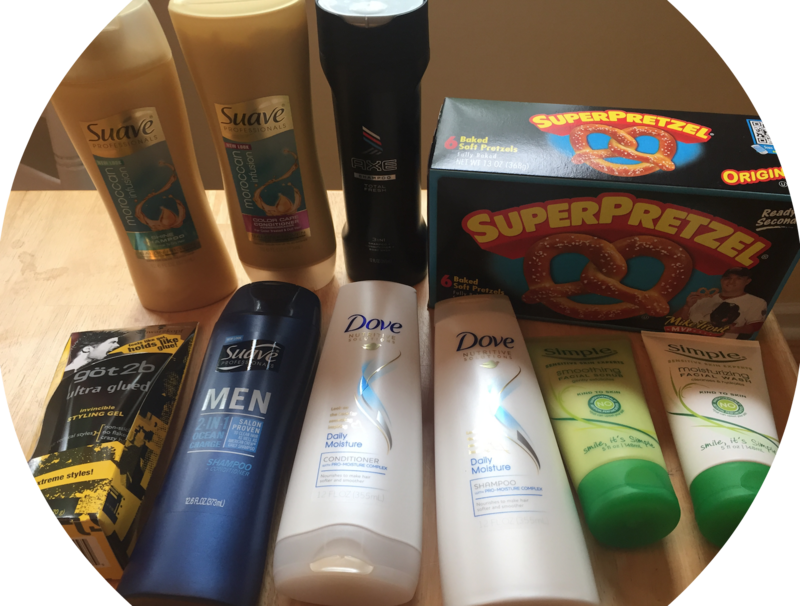 + saving star Save $3.00 on any TWO (2) Dove® Hair Care products (excludes trial and travel sizes and Dove® Men+Care)..Expires 8/20/2016.Save $3.00. Save $1.00 on any ONE (1) Suave Men® Hair Care product..Expires 9/4/2016.Save $1.00. + saving star Save $3.00 on any TWO (2) Simple®, St. Ives® face, POND'S® or Noxzema® face products (excludes trial and travel sizes)..Expires 9/4/2016.Save $3.00.